Today I got to be a diva….a Opera Diva! The Opera Challenge was very interesting as I love Opera! Never in my wildest dreams would I ever imagine that I would get to portray one of the greatest Opera characters…Aida! Thanks to Belle Rousell, of Chop Zuey, who by the way is a real life Opera Singer, and have sung around the world, composed a list of some of the greatest Opera Divas. This list was made by Belle Rousell even before the final list of official misses came out. So all numbers are totally random! I was assigned by random number to Aida. Aida by Verdi, is basically another love triangle in lavish Italian opera style! Aida, an Ethiopian Princess is captured. She is Strong, loyal, regal but conflicted. I have seen the production in real life, and it is astonishing…. a visual feast to the senses!!! I did research on the various productions from around the world of Aida. The costume designers were phenomenal in their design’s choices for the role. My inspiration came from the costume designers who dressed the various Sopranos who have played Aida. Although she was enslaved, her style of dress never let you forget that she is a princess! Bold, colorful, and regalness I borrowed from the various Sopranos to envision this look. Congratulations to all the Misses, as they all were fabulous!!!! Thanks to the judges and BonieFacio Resident for the beautiful video. The infamous Black Pearl was the ship that was in the Pirates of The Caribbean. It was exclusive, uniquely beyond compare, and very sought after by men who wanted to possess her. Become as desired as that legendary ship, when you wear Black Pearl by Vero Modero! Well, years later, I look outwardly calm and really grad school chic in my ZE Sabrina Sweater Dress! I like how this pretty dress fits. 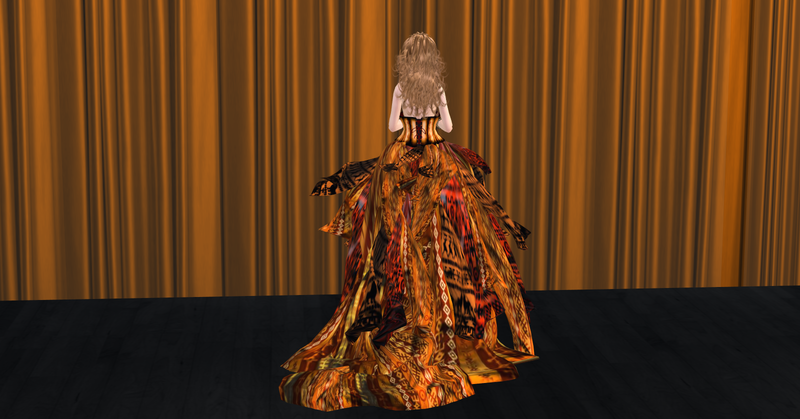 It comes with a hud that has 4 colors you can choose from for the dress and 5 sizes from XS to XL for a great fit! The ZE Sabrina Sweater Dress is very versatile, as you can pair it with a coat for a more professional/dressy look, or don a pair of leggings and a bolero and many other combinations! Anyway you choose to style it, you will be fashionably in the moment! I am using a fantastic new pose from the god of grace and movement, PosESioN, named the Ruby Set! I love how this poses me. This is pose 10 from the set. The poses that Dahriel has been introducing for this new season, are just awesome! You must make it a point to take some time out and go over to PosESioN and check out the many new poses he has made. Back to the problem at hand, hmm….CAN SOMEONE TELL ME WHERE THE REGISTAR OFFICE IS!!! Some days it feels like we have so much to do and so little time to do it all in! When I think of the things I have to do in real life, for family, friends, and events, some time it feels overwhelming! So today’s lesson for me….Slow your roll! We can just do so much…STOP… and take the time to be in the moment! There will always be things to do, but you may not always be able to get that moment back of time to just live. As usual I am rushing off to someplace and you see my barreling down the stairs of my home in [LG] Boutique-[Summer 13] Lets Get Loud! Let’s Get Loud, from the K Collection, is a very pretty 2 piece that will take you through a variety of social functions, work, shopping, drinks, etc., It has a hud that gives you 2 amazing choices for the Jacket and 4 fabulous color palettes for the skirt. Smiling…I highly recommend this for your in between summer and fall wardrobe to maintain the level of chicness you are accustom to displaying. I used some phenomenal accessories! I am sporting the ever so chic GizzA Asia Black-Gold Watch & Bracelet, which is available in several colors and reigns supreme upon my arm. 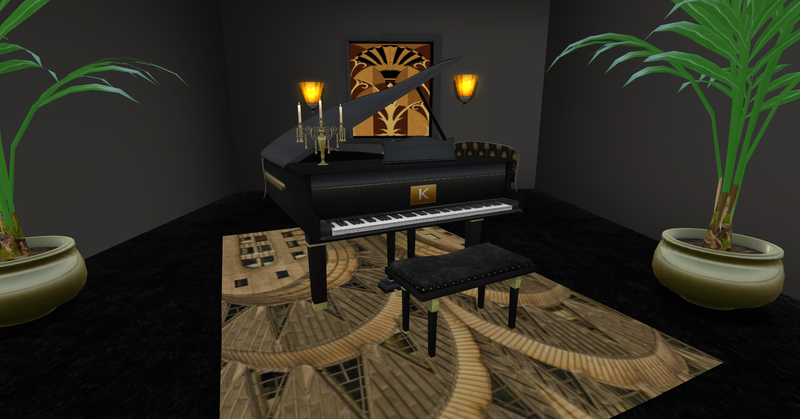 I love to swing my keys in real life from my fingers…why should it be any different in second life? GizzA HandKey Teddy lets me do just that…swing my keys! There are many great ones to choose from with and without poses. Chop Zuey never ceases to amaze me with the jewelry she creates. She is truly a girl’s best friend! The Pallas Athena Earrings are just exquisite! They are a part of a truly magnificent necklace set. They look equally perfect whether you are wearing a formal gown to meet the queen in to jeans and coffee with the girls! I really love these earrings…if Chop Zuey isn’t on your favorite tps…put her there now! The god of movement and grace, PosESioN, has made the perfect pose for me to use for my picture…Ruby Set! I love how it makes me appear on the stairs. I am using Ruby 1. If you have not been to PosESioN lately, you are missing out!!! Dahriel is constantly putting out some really fantastic artistic poses and plus he has been running a lot of sales too! New and seasoned models, photographers, now is the time to stock up! PosESioN poses really add life to your pictures…right now go there and check out the newly remodeled store and the new poses! See ya there! 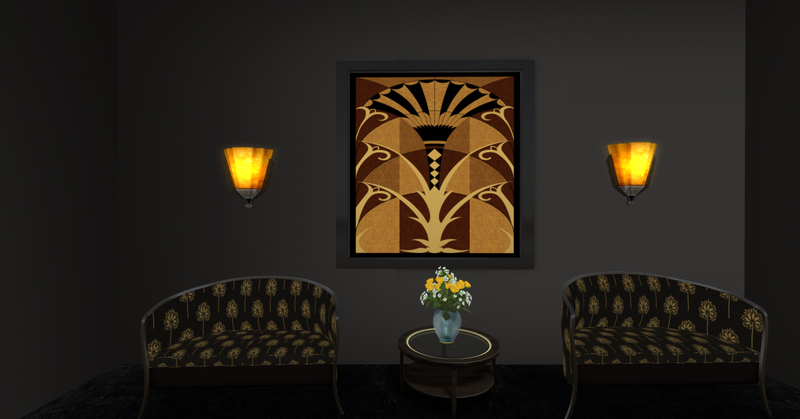 Lumiere has released new designs that are sure to please, both the visual and your linden balance! 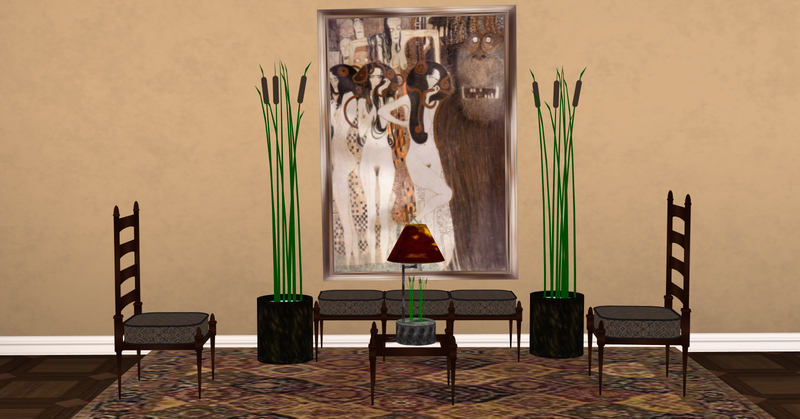 The first picture shows The Formal Entry Chair, Bench, Formal End Table with Glass Insert, Buggy Whip Planter, Nature Lamp, which I may add, has a base of moving water beneath the cattails and is a touch on and off lamp with a fantastic shade, and Indian (India) Rug Pattern 004. 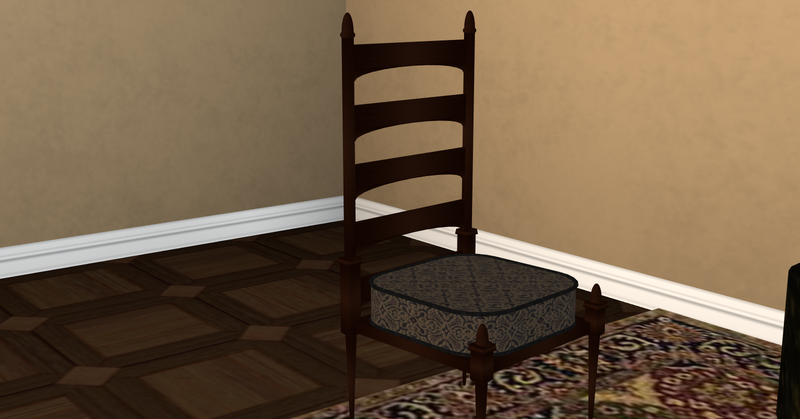 I really love the patterns he chose for the rug, and furniture! 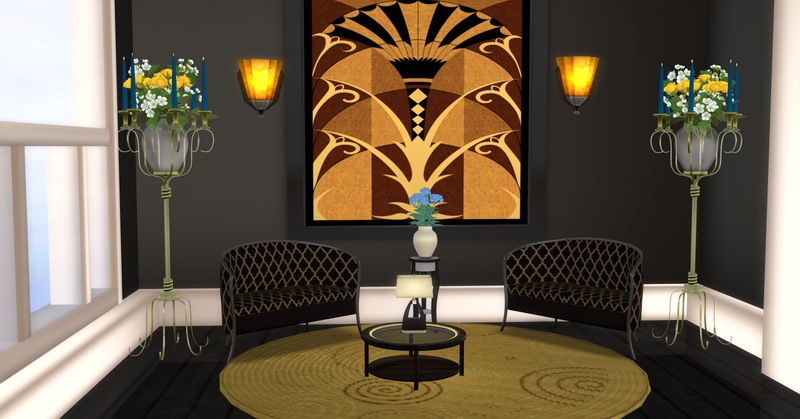 Lumiere has a range of furnishings from the eclectic to the contemporary…you are sure to find whatever your fancy! 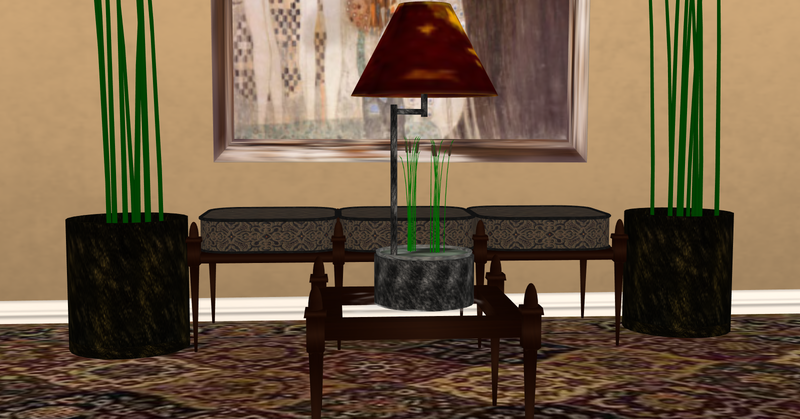 The fourth picture, you see the new Grasshopper and Lamp set. It is a contemporary, black and chrome lounger and a over hanging retractable chrome lamp. Upon touch the lamp will retract and turn on! How amazing is that!!! 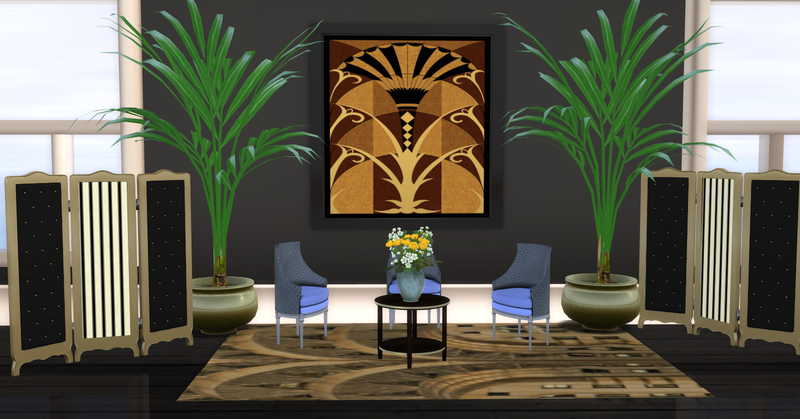 These and other designs awaits you this month, at Lumiere! Kaerri has always been synonymous with style, elegance, and functionality, all at an affordable price! I have the privilege of introducing a new line by Kaerri…The Buchanan! The Buchanan is luxury personified! It takes you back to an era when women bobbed their hair, bath tub gin parties were in, a speakeasy was a joint to be seen at, and it was nothing at all to jump into a pool in your all flapper finery! 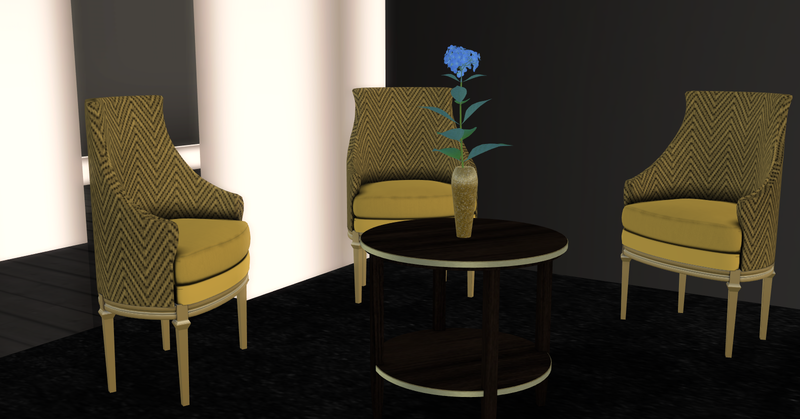 You work hard, play harder and you owe it to yourself to have these beautiful furnishings to surround yourself with to bask in the ambience that will be yours when you buy The Buchanan Set! Be sure to make it BOSL Fashion Week 2013 on Saturday, September 21st at 2:00 pm, for the TRIBUTE TO ELIE SAAB. 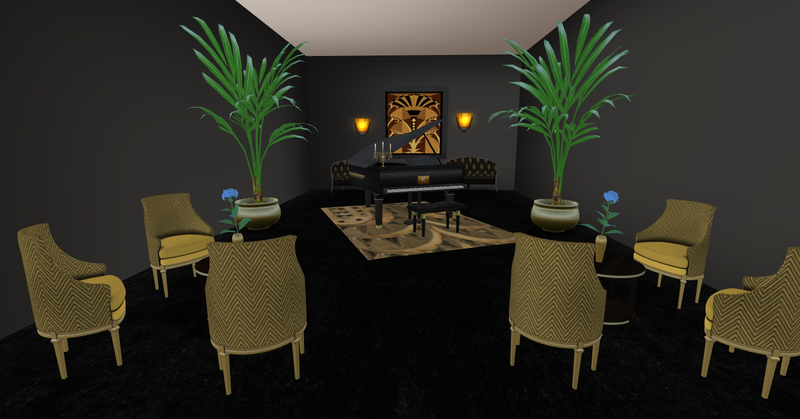 As esteemed designers provide the couture for the runway, Kaerri Furnishings has the honor of providing the couture for the stage!